Several Reston-area residents have reported coyote sightings in the area in recent days. While there is no way to verify whether the animals were actually coyotes, the reports have similarities, and Fairfax County wildlife officials say they are getting an increase in the number of calls reporting coyotes countywide. Wildlife officials say coyotes are established and widespread in Fairfax County. A resident of Becontree Lane contacted Reston Patch last week to say she saw a coyote in her backyard near a wooded area. More recently, several Fox Mill Woods residents say they saw coyotes in that area off of Lawyers Road in the last few days. Abby Reed told her neighbors on a neighborhood message board that she saw a coyote on Blue Spruce near Riders Lane about 7:15 p.m. Sunday. Another neighborhood resident, Eliza Beaulac, said she saw one hit by a car on Sunset Hills Road near Target on Monday. County wildlife officials say keep an eye on your house pets just to be safe. 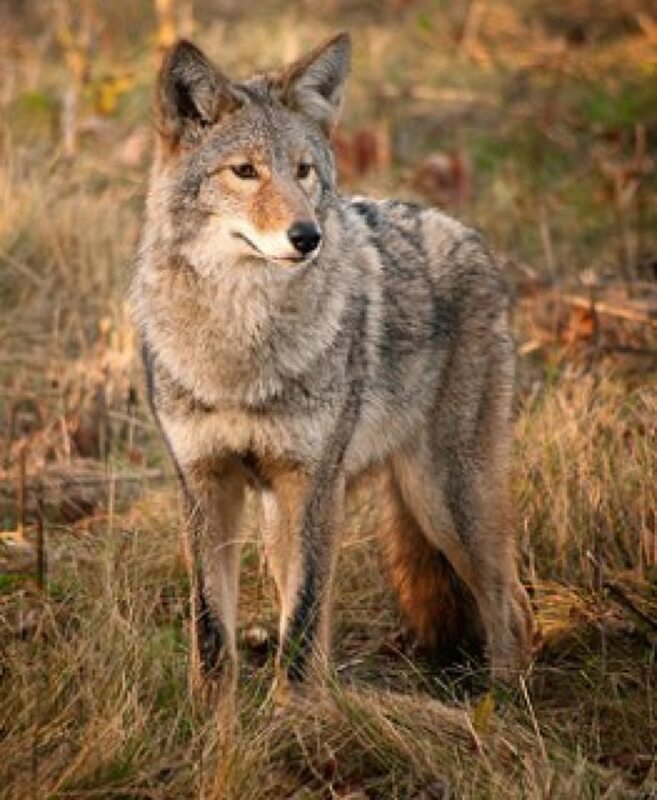 “The best way to safeguard pets in areas where coyotes are active is to keep them indoors and do not leave them outside without supervision,” Katherine Edwards, Fairfax County Wildlife Management Specialist, said in a release. Coyotes are territorial and may view larger dogs as potential competitors, particularly from January to June while mating and birthing pups. Coyotes are opportunistic foragers with diverse diets that commonly prey on small animals such as mice, rats, voles and rabbits but will also readily eat fruits, plants and carrion, says Edwards. Coyotes may mistake small, unattended pets including cats and small dogs as prey due to their similar size to natural prey. In suburban areas like Reston, most coyotes will be looking for available food or den sites. Keep dogs on short leashes (less than 6 feet) while walking outside. Provide secure shelters for poultry, rabbits, and other vulnerable animals. Be alert at dusk and dawn. Coyotes are most active at night and early morning hours; however, they may be active during the day in search of food or denning sites. What to do if you see a coyote? Officials say use “hazing techniques” to frighten coyotes from the property. Yell and wave your arms at the coyote. Spray the coyote with a water hose, water guns or spray bottles with vinegar water, pepper spray or bear repellent. Install fencing to keep coyotes out of yards. Fencing should be at least 6 feet tall, have an outward slanting overhang or roller-type device to prevent coyotes from climbing or jumping, and have an L-shaped mesh apron buried one to two feet to deter digging. Few fences are completely coyote-proof. 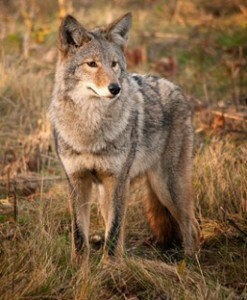 If these techniques do not solve the problem, Virginia regulations allow nuisance coyotes to be removed by a licensed trapper or critter removal service. If you see a coyote that is behaving aggressively or appears sick or injured, contact the Fairfax County Police non-emergency number at 703-691-2131.